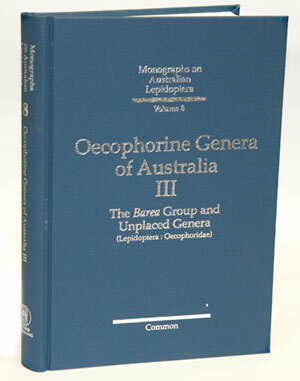 Oecophorine Genera of Australia (volume three): the Barea Group and Unplaced Genera (Lepidoptera Oecophoridae). This title is not held in stock but we are happy to supply on special order. Please contact us. Monographs on Australian Lepidoptera, volume eight. This volume completes the revision of the oecophorine genera of Australia, a subfamily which has diversified enormously in this country and today represents some 20% of the Australian lepidoptera. The generic revision of the Australian Oecophorinae, continued in this third volume, includes the large Barea group of genera, the small Tisobarica group, some genera previously omitted in the first two volumes from the Wingia and Chezala groups, and some miscellaneous genera of unknown relationship. This volume deals with 96 genera, 73 of which are referred to the Barea group, two to the Tisobarica group, four to the Wingia and Chezala groups, and 17 to the group of unplaced genera. As in the first two volumes, nearly all of the genera are endemic. CSIRO Information Services, Octavo, black and white photographs, line drawings. As fascinating as they are beautiful, butterflies are a pleasure to watch and an important group of invertebrates to study. This second edition of the award-winning book The Complete Field Guide to Butterflies of Australia is a fully updated guide to all butterfly species on Australia’s mainland and remote islands. 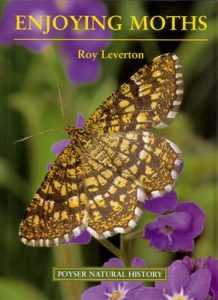 Written by one of Australia’s leading lepidopterists, the book is stunningly illustrated with colour photographs, many of which are new, of each of the 435 currently recognised species. There is also a distribution map and flight chart for each species on the Australian mainland, together with information on similar species, variation, behaviour, habitat, status and larval food plants. The introduction to the book covers adult structure, higher classification, distribution and habitats, as well as life cycle and behaviour. A new chapter on collecting and preserving butterflies is included. There is also an updated checklist of all species, a glossary, a bibliography and indexes of common and scientific names. 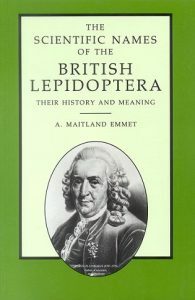 The scientific names of the British Lepidoptera: their history and meaning. The specific names are explained, together with the names of the genera, families and suborders to which they belong, giving both the Latin and Greek roots. Appendixes include people commemorated in the names of Lepidotpera; geogrtaphical names and unresolved names. References and indexes complete the work. A hardcover is also available. 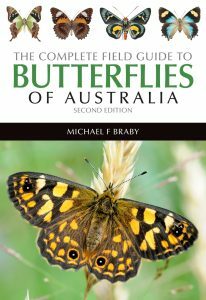 This guide aims to provide naturalists, bushwalkers and interested others with a detailed account of butterflies found in Victoria and beyond. Illustrates the full life-cycle of the butterfly. The latest imaging technology has been used to photograph butterfly eggs which, when magnified, reveal a spectacular and diverse array of colours and forms. 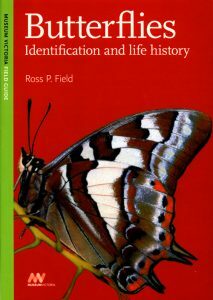 Information on butterfly behaviour, biology and habitat are all covered in this fascinating book. Species descriptions are accompanied by stunning colour photographs of all the life stages of the butterfly, as well as their food plants or habitat. Although based on butterflies in Victoria, most species can be found all along the east coast of Australia. A handy checklist in the back of the book provides an instant summary of which species can be found in each state. OUT OF PRINT. This book is about “mothing”. There are sections on finding moths in the daytime, and at night when they visit natural attractions. The responsible use of light traps is also covered as well as successful techniques for finding and rearing caterpillars. Other chapters show how to attract moths to the garden, give expert hints on photographic techniques, and deal with the handling and presentation of scientific data.